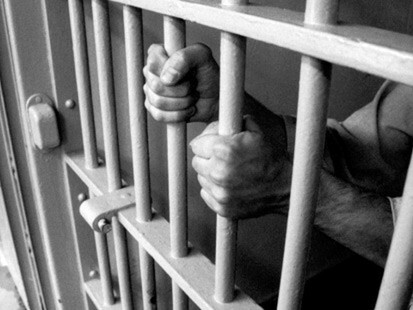 How long do you to go prison for if you don’t pay Tax, NI or VAT for 10 years ? When you get your tax bill, or your pay slip showing how much tax you have just paid, everyone wonders how great it would be to pay no tax. One couple in the UK with their family business did just that for 10 years, but then they got caught. And here is what happened to them. A husband and wife run tarmac business from Somerset recently felt the full force of an HMRC tax enforcement legal case. The couple had failed to pay any tax, NI or VAT for over 10 years whilst living the highlife – building up a property investment portfolio worth over £1.6million and a string of expensive Porche’s, Range Rover and Mercedes. They also were found to have over 80 bank accounts, many in false names with deposits totalling £1.4 million. At the court hearing, HMRC presented their calculation of tax not paid totalling some £550 k , NI not paid totalling £276 k and VAT not paid of £256 k.
Shortly before the court date, the defendant claimed to be suffering from dementia in an attempt to delay the case. He subsequently attempted to fail on purpose the medical examinations ordered by the court and was ordered for trial. His wife changed her plea to guilty at the last minute. The wife was sent to prison for 3 years and 6 months. The husband was sent to prison for 4 years. And HMRC were granted permission to recover the tax owing through the courts confiscation scheme. Given that the couples business had previously been successfully prosecuted by trading standards for poor standards of work and false representation in targeting the elderly and vulnerable, it looks like the citizens of Somerset will not miss this business. 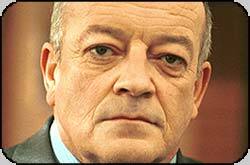 You may know actor Tim Healy from his role as Dennis in the TV drama Auf Wiedersehen Pet and more recently as cross dressing “Les” in Benidorm. But Tim has recently made the headlines by challenging HMRC in a landmark tax tribunal. Mr Healy was successful in his claim for £32,000 of accommodation expenses to be allowed to be treated as tax deductible. These accommodation expenses were related to a period when he was rehearsing for the Billy Elliot theatre production in London and were held to be “wholly and exclusively for the purposes of his profession”. However, he lost his claim for £4,000 of taxi fares to be treated in a similar manner. The presiding judge declared that he could have been successful in his claim had he maintained more thorough records of his taxi journeys, but that she was unconvinced that they were all related to his profession and felt that it was likely that at least some of them related to socialising. Interestingly, the judge concluded this after also reviewing Mr Healey’s bank statements which showed that some of the claimed journeys were at the same time as he was visiting the Groucho club in London, for socialising purposes rather than as part of his acting work. An interesting lesson learned here is for anyone who is going to claim taxi expenses to keep good records of the journeys being claimed in the event of a challenge from HMRC. Proposed Caravan tax in the slow lane? In the last budget, the government proposed extending VAT to cover the sales of static caravans. For someone buying a caravan with a value of £20,000, this additional 20% tax would result in the cost increasing to £24,000. Perhaps not surprisingly in the middle of a recession, this has alarmed UK caravan manufacturers and dealers, fearing for the future of their businesses. The proposed tax increases are due to come into effect in October, but we are currently in a period of consultation. A petition containing tens of thousands of names was supported by a number of cross party MP’s and they are hopeful that George Osborne will follow many of his recent climb downs such as the pasty tax and change his mind before this comes into effect. In the meantime, if you are considering buying a fixed caravan, it might be better to act before October just in case. What happens if yours was one of the 6 million Linked In passwords that were hacked? “Sup what’s going on? There’s no way you can’t consider this. I know this is something you could take to the next level”. And included in the message was a hypertext link made up of seemingly random letters. The message had come from my friends hot mail account. Feeling a little suspicious, I didn’t click on the link and instead contacted my friend to see what this message was all about. He quickly came back to say that both his linked in and Hotmail accounts were hacked and that they had previously been using the same password. Once the Hotmail account had been hacked, it had then been used to send the suspicious e mail that I received to each of his contacts. So, it looks like his was one of the 6 ½ million passwords that were hacked from Linked In and were then posted on to a Russian website. My friend did the right thing by changing all of his passwords – starting with Hotmail and Linked in, and then running a full virus scan on his computer. It looks like he has got off fairly lightly, but if you use the same password for many web services, this could have been a lot worse. The best advice is to use different passwords for different services, change your passwords regularly and if you hear news reports of security breaches such as happened recently with Linked in, change your password immediately. Concerns over a potential increase in fly tipping by unscrupulous operators have been raised after government proposals to increase landfill taxes. 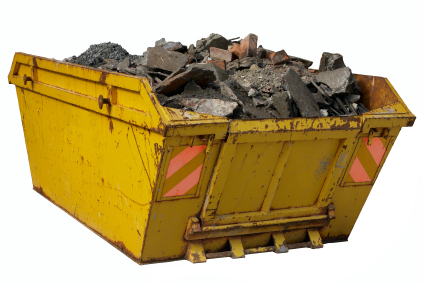 As part of these tax changes, the tax for putting certain types of building rubble into landfill sites will increase from £2.50 per tonne to £64 per tonne. Protests have been held in Parliament Square by skip hire companies who plan further protests and are threatening that this increase in tax will force them to lay off workers or go out of business completely. Data recently released as a result of the freedom of information act, has shown that callers to HMRC have to hold for an average of 6 minutes before getting to speak to anyone. This is an increase from last year when the average time was 5 minutes 45 seconds and a huge increase from 2009 when the average was just 1 minute and 53 seconds. 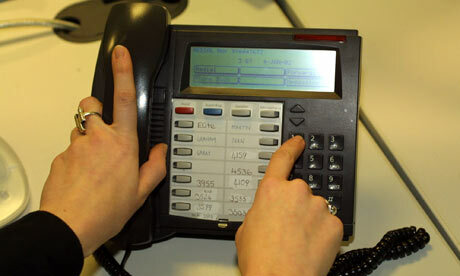 The statistics also show that 28% of callers gave up waiting and hung up on HMRC – an increase from just 10% in 2009. What happened to the Plumber convicted of tax evasion? What happened to the UK plumber convicted of tax evasion? 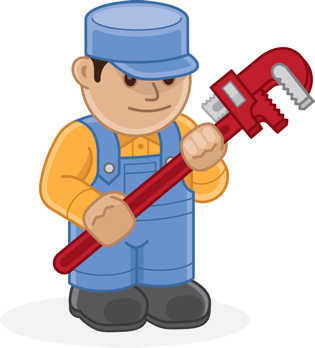 Ever wondered what the consequences of setting yourself up as a self-employed plumber, working cash in hand and omitting to pay any tax or national insurance? A plumber from Hampshire did just that after deciding to freelance in 1997. He chose not to register his earnings with HMRC for self-assessment and paid no income tax or VAT. Enquiries made by HMRC found that he had evaded approximately £88,000 of tax and VAT. Once they added interest to these amounts, the total rose to £112,000. The plumber was arrested at his home, and admitted committing £40,000 of fraud at Southampton Crown Court on 2nd April 2012. So, how was he treated by the court? Firstly, a four month jail sentence – suspended for 12 months. Secondly, 100 hours of community service. This was in addition to £40,000 which he paid to HMRC prior to the court proceedings. This verdict followed the “Plumbers Safe Tax Plan” which was basically an amnesty for plumbers who had not filed sufficient tax payments to come forward and put their tax affairs in order.